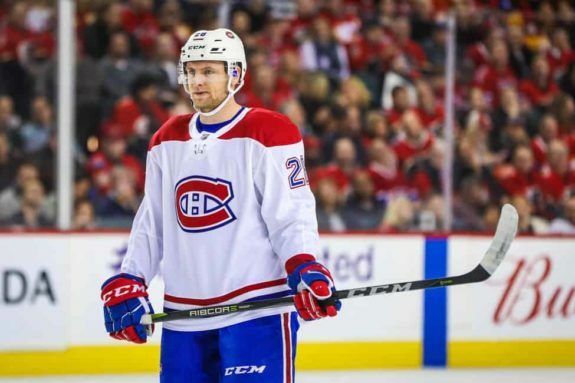 The Washington Capitals have acquired defenseman Jakub Jerabek from the Montreal Canadiens in exchange for a 2019 fifth-round pick, the team announced Wednesday. Washington traded for defenseman Michal Kempny on Monday and placed Taylor Chorney on waivers Tuesday, and Jerabek is likely another acquisition to provide more depth on the team’s thin blue line. In 25 games with the Canadiens this season, the 26-year-old has registered one goal and four points and is a minus-1. He had been fighting to crack the Montreal lineup for some time now but hasn’t been able to prove his full-time NHL worth with the struggling Habs. Will Jerabek Provide Capital Gains? The Czech blueliner is a left-hand shot, like countrymate Kempny, and is a puck mover who has worked his way up through the Czech leagues to make it to the NHL. He is a puck-moving defenseman who is able to join the rush and generate offense, while also playing a complete, physical game at both ends of the rink. While the 5-foot-11, 200-pound defender lacks size, he has shown that he can play at the top level and still has room to grow, so he is very much capable of still developing his game and provides upside and promise. In his time with Montreal, Jerabek averaged around 17 minutes of ice time per game, and prior to being scratched after playing his last game with Montreal on Feb. 2, he would sometimes skate over 19 minutes per game. For the Capitals, Jerabek will likely replace Chorney, who was claimed off waivers by Columbus Wednesday. He could serve as the Capitals’ seventh defenseman and will also likely compete with the likes of Madison Bowey, Christian Djoos and Brooks Orpik for a spot in the lineup. Overall, he is a depth defender for the Capitals, who have been making minor adjustments and changes to their blue line to likely prepare for their playoff run. As Washington continues to renovate their blue line, they are turning to defensemen who are not necessarily proven at the NHL level, let alone expensive, but also shined in their time playing in the European leagues. Ironically enough, Kempny and Jerabek were world junior teammates back in 2010. Like Kempny, Jerabek also spent time in the KHL prior to signing in the NHL following years playing with HC Pizen of the Czech league. 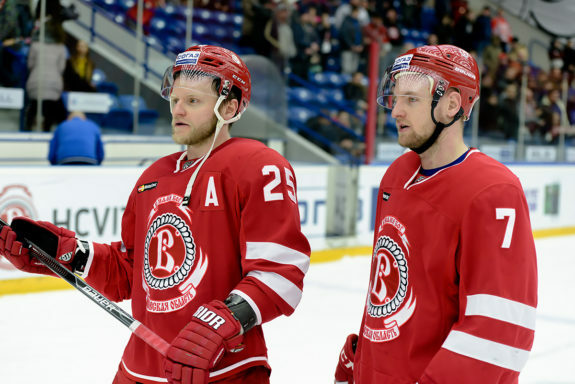 In 59 games with the Vityaz Podolsk of the KHL last season, Jerabek posted five goals and 34 points. The Capitals have been looking for ways to address their blue line this season, as it lacks depth following the departures of Karl Alzner, Kevin Shattenkirk and Nate Schmidt. So far, rookies Christian Djoos and Madison Bowey have been filling the voids on defense this season, but as the team nears the postseason, they may need more insurance on the back end. Washington is currently maxed out with 23 players on their current roster. Jerabek is not waiver-exempt, so it is likely that if Washington needs to save cap space or needs to add another player on their roster, they will send down a player like Bowey, who can go down without needing to clear waivers.